How will you start planting container gardens? Will you start your plants from seeds, cuttings or would you rather use established plants? Planting seeds is for you if. . . .
You would like to experience the satisfaction of starting with a seed and ending up with a five-foot plant. Or, maybe you like varieties of vegetables that are hard to find. If so – start your garden with seeds – it is much less expensive and can be more rewarding. When you purchase seeds, check the package for “packaged date” and “sell by date”. It should also tell you the depth to plant and spacing needs, as well as the days required to germinate and the days to maturity. Higher quality seeds should give all of this information. I would also recommend buying only seeds that are guaranteed. A great online resource for seeds is Diane’s Flower Seeds. Planting container gardens with seed is your best bet if you like varieties of flowers or vegetables that are hard to find. Growing plants in containers from seed is one of the cheapest ways to get a mass planting. It’s fun and easy to do – kids especially like growing from seeds. If you like the plants you grow, you can collect your own seeds in the fall to be sown again the following spring. 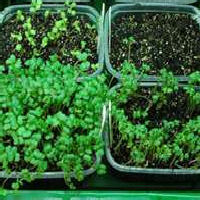 An inexpensive tray of small peat cells is easy to use. Buy one with a plastic lid to keep soil warm while the seeds germinate. You can remove it once the plants come up. It will probably also have a tray to catch excess water. 1. Fill the seed tray with seed compost. Gently firm and level the surface of the soil. 3. 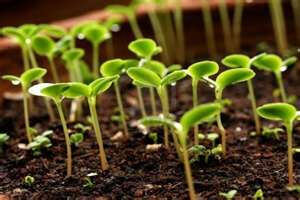 If you are using small seeds, lightly scatter them on the surface of the soil and then cover them with soil. 4. 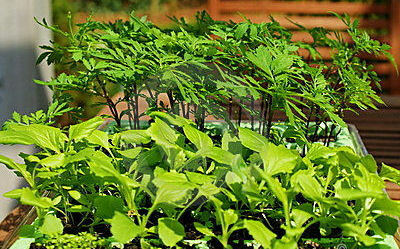 Firm the soil and water lightly from above or stand the tray in water until the surface of the compost is moist. 5. Your seed tray may come with a lid but if not, enclose the seed tray in a plastic bag to conserve moisture. 7. Check daily. Once the growing plants start to emerge through the soil, bring them out of the plastic bag and into the sunlight. 8. Keep them moist, but not wet, and in the sunlight for at least 6-8 hours per day. If you don’t have adequate sunlight where you live, use a plant light. Once the plants have come up, transplant them to a bigger peat pot. I’ve also used paper cups with a drainage hole made in the bottom. Plants are ready for this move when their second set of leaves appear. 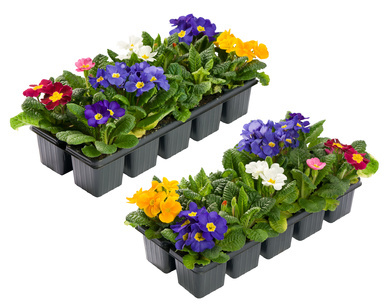 When your growing plants become big enough to plant in containers out or doors, set them outside during the day to get them adjusted to outside conditions. Do this for a few days, and then move outside according to your seed packet guidelines. Planting container gardens from seed is easier with plants that have bigger seeds. These would be tomatoes, peppers, eggplant and basil for instance. Some vegetables grow quickly and it may not make sense to start them indoors. Their seeds can be sown directly into containers outside – these would be corn, beans and summer squash. Also, some plants are considered cool weather crops and they don’t start well inside – planting seeds for lettuce, peas and radishes directly in containers outside will work best. Remove the new soft-wood growth when it is about 4 inches long. Use a sharp knife or pruning shears to trim the cutting just below a node and trim away the lower leaves. 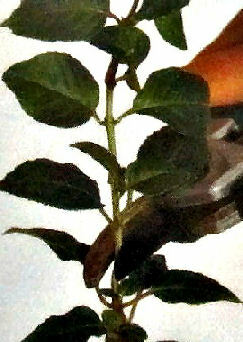 A node is a place where the stem and the leaf meet. You’ll make your cut below the node. Dip the end of the stem in hormone rooting powder and plant in a small container or pot using cuttings compost. Once the cuttings start to develop roots you can move them to your container gardens. Planting container gardens will take some planning. Take some time to decide what you want to plant. Look at their seed packet to find their germination time and how long it takes for the plants to reach maturity.This is especially helpful with vegetable planting. Growing plants in containers is easier if you develop a planting calendar – designate which days you plan to sow which seeds. That way, they will come up when you want them to. If you want to have several harvests throughout the growing season, plant a few cells of a seed one week, wait a couple of weeks and plant some more, etc. Remember to make a diagram or use a label or tag when you start so you’ll know which plants are where. Planting container gardens with mature plants is quicker and sometimes easier, but it is also more expensive. They can be purchased at local nurseries or garden centers and online or through catalogs. When you purchase mature plants, try to plant them as soon as possible and if you can’t do that, keep them in a semi-shaded area and water them well. Make sure the plants have healthy, nice colored foliage. It is better to choose plants that are not already in bloom, but have lots of buds coming on. Also make sure the roots coming through the nursery pots are whitish in color and not dark or slimy looking. Planting container gardens is done best at the end of the day when temperatures cool and the sun is lower. Plant your taller plants in your container first, and work your way down to the filler plants, planting trailing or vining plants around the outside edge of the container last. 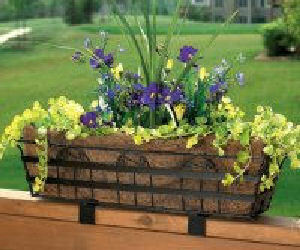 Return from Planting Container Gardens to Container Gardening Tips.